The Food and Drug Administration (FDA) has found one more reason to avoid kratom. The agency says tests have found "disturbingly high" levels of heavy metals in the leaves from the tropical tree. Kratom is native to Southeast Asia, and its leaves contain compounds that can have mind-altering effects. The kratom leaf itself isn't illegal and is readily available on the internet. It gets on the FDA’s radar when it is used in commercially-available supplement form. Scientists at the FDA report finding lead and nickel in as many as 26 different products as they were testing kratom samples for salmonella. FDA Commissioner Scott Gottlieb says the levels are categorized as not safe for human consumption. "While the levels of the specific products we’ve tested so far are not likely to result in immediate acute heavy metal poisoning from a single use, some of these products included levels that, with chronic use, could cause some people to suffer from heavy metal poisoning," Gottlieb said. "We are concerned that there may be other kratom products on the market that also contain heavy metals." Kratom is used by some consumers to self-medicate or for recreational purposes. 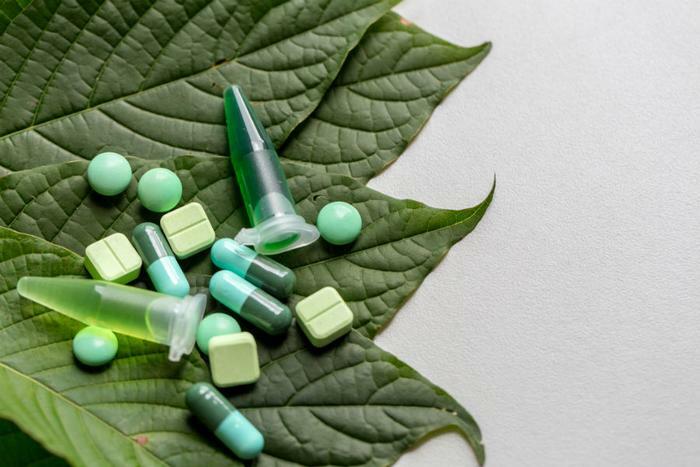 The FDA has taken action against marketers when they have made claims that the leaf can effectively treat opioid withdrawal symptoms, or when other medical claims have been made. In the past few months, the FDA has issued numerous warnings about kratom, saying it affects the brain in much the same way as opioid drugs and appears to have properties that could create a dependence or addiction. In February, it declared that some kratom compounds are opioids. In fact, there are no FDA-approved uses for kratom. The agency has said it is actively evaluating all available scientific information on the substance. It has warned consumers not to use any products labeled as containing the botanical substance kratom or its psychoactive compounds, mitragynine and 7-hydroxymitragynine. Four years ago, U.S. Marshals seized more than 25,000 pounds of raw kratom material worth more than $5 million from Rosefield Management, Inc. in Van Nuys, California. In 2016, the government confiscated nearly 90,000 bottles of dietary supplements labeled as containing kratom and worth more than $400,000. Later that year U.S. Marshals seized more than 100 cases of products labeled as containing kratom and marketed under the brand name Kratom Therapy. "As a result of our analysis, we’re contacting companies marketing these kratom products to make them aware of the heavy metal testing results," Gottlieb said. "And we are putting out this advisory to warn consumers so that they can take steps to protect their health." Gottlieb stressed that kratom is not legally marketed in the U.S. as a drug or dietary supplement. He says it's important to gather more evidence, but he warns that the available evidence so far suggests that the product has significant potential for abuse.